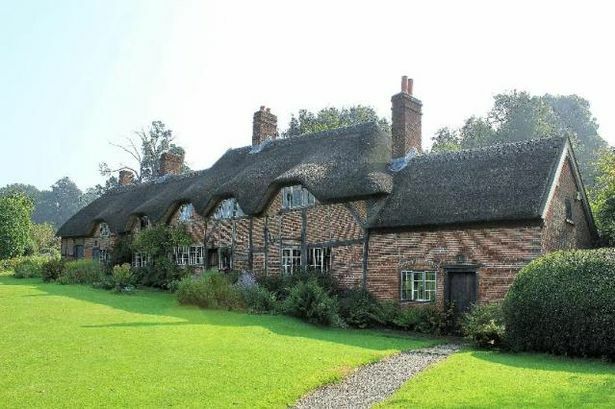 This lovely Grade II-listed thatched property includes original internal features. Motslow Cottage in Motslow Hill, Stoneleigh. There is so much to say about a stunning 16th century cottage at Stoneleigh that it might well be described as everyone’s “dream home”. The lovely Grade II-listed thatched property includes original internal features, such as beamed ceilings, exposed floorboards and log burners, besides an abundance of space, such as four reception rooms, a solid oak kitchen with an Aga and three bedrooms. One end of the property has the potential to be used as an independent home linked to the main accommodation and has its own entrance, a kitchen-breakfast room, a lounge and cloakroom downstairs, while on the first floor is a fabulous bedroom with a large en-suite bathroom. Motslow Cottage, which is in Motslow Hill, oozes charm, being a house of great historic interest. It was built in the 1500s and had alterations in the 1600s, before being purchased by Lord Leigh. The property was substantially and sympathetically restored in 2000 and the thatch completely replaced in 2012. Additionally, Motslow Cottage has featured in television documentaries. If the interior has endless character, then the exterior gives the feeling of boundless open spaces, because it has a wooded spinney, around six acres of grazing land and spectacular views over the River Sowe. Overall the grounds extend to more than nine acres. Additionally, beautiful mature gardens surround the property, including large lawned areas, many mature shrubs and graceful trees. There is also a substantial brick and timber built-wood store with a workshop and carport. Most certainly a property of great distinction which should be viewed by potential buyers. This can be organised by the selling agent Brian Holt, which can be contacted on 01926 864408. The price is £1.25 million.